Repeatable cancel is very powerful. He's suboptimal but not useless if the opponent has no character abilities worth cancelling, but that isn't going to happen too often. 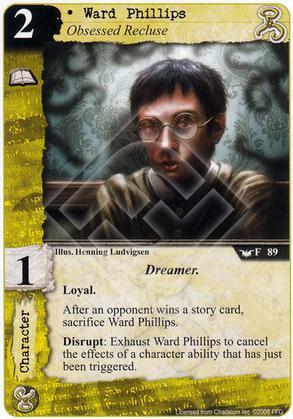 Dreamer is potentially of use too. A powerful support ability that can easily fit into any hastur deck. Repeatable cancel is a fantastic ability.